Part of what was once the largest continuous forest in North America, ancient longleaf pines blanketed the Eastern seaboard and Deep South for hundreds of years before the first settlers ever set foot on American soil. These vast stands of virgin longleaf pine dominated the landscape from southern Virginia to southeastern Texas, covering approximately 90 million acres of land. Fully matured at 500 years of age, these magnificent giants soared to heights in excess of 100 feet. Given the harsh conditions of the early American frontier, it is approximated that only one inch of growth in the diameter of the trees was achieved every 30 years. At maturity, old-growth longleaf pine is 100% heart wood, giving it the name Antique Heart Pine. 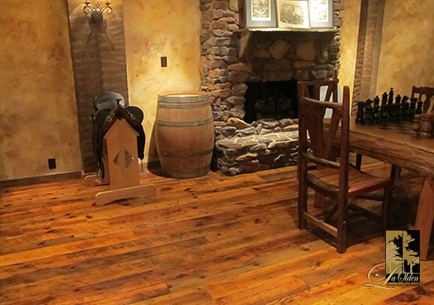 This rare wood is characterized by its tight, vertical grain and reddish-orange hues. First recognized by early American settlers in the 1600s for its strength and durability, original-growth longleaf pines were prized for shipbuilding. Their pole-like stature and ruggedness made them the ideal material for masts and keels. In fact, Heart Pine was used building the backbone of “Old Ironsides” (USS Constitution), a ship known for its resilience at sea. As America continued to grow, so did the demands for Heart Pine. Entire sections of forests were felled as shipping ports, cabins, hotels, and fine homes began to spring up throughout New England and the Deep South. In fact, it was Heart Pine that was chosen to grace the floors Independence Hall and the homes of George Washington, Thomas Jefferson, and countless other buildings of historical importance. It wasn’t until America’s Industrial Revolution though, that virgin stands of longleaf pine were hardest hit by the building industry. 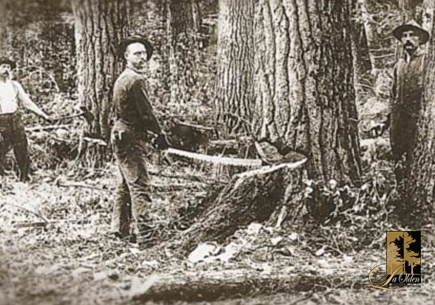 By 1900, over 80 million acres had been logged, leaving behind only 2% of the original forests and the man-made structures for which the trees were harvested. It’s ironic that today we find these early American factories and mills to be the treasure chests that have preserved these rare, old-growth gems for future generations to enjoy. La Olden & J&C Wood Products recognizes the importance of preserving the wood which tells the stories of our nation’s birth and the fulfillment of so many American dreams. That is why we go through the process of selecting and reclaiming the finest specimens of old-growth Heart Pine timbers from dilapidated early-American textile mills and factories. 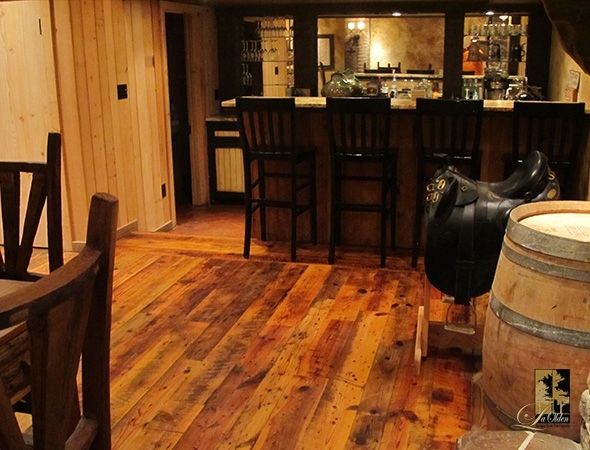 Once at our mill, the wood is then carefully crafted into fine hardwood flooring, stair parts, moldings, and beams. La Olden Antique Heart Pine is rare and luxurious wood with a rich history, authentic character and distinct patina that cannot be replicated by any modern means manufacturing.